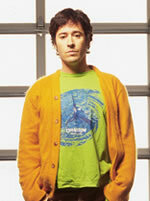 Rob Morrow is best known for his critically acclaimed portrayal of New York doctor-gone-Alaska, Joel Fleischman, on the hit television series, "Northern Exposure" which aired in 1990 and garnered him two Golden Globe and three Emmy Award nominations for "Best Actor in a Dramatic Series." A native New Yorker, Rob began his theater career working for Tom O'Horgan and Norman Mailer. Since then, he has been committed to the theater as a founding member of the nonprofit ensemble Naked Angels, along with Marisa Tomei, Fisher Stevens, Ron Rifkin and Nancy Travis, among others. He has also appeared in "Third Street," at the Circle Repertory Theatre and London's West End production of "Birdy." Rob is on the Board of Directors of Project ALS. Co-founded by Jenifer Estess, who was diagnosed with ALS in 1997, Project ALS is committed to funding the research necessary for finding effective treatments and a cure for people living with ALS, a fatal neuromuscular disease. Was an extra on SNL as a jury member in court skit with Rodney Dangerfield as host. Son of Murray Morrow, an industrial lighting manufacturer, and Diane Morrow. Published a book of original photographs called "Northern Exposures"
An independent film, "Maze", that he wrote, directed and co-produced with wife Debbie" won the audience choice honerable mention award at Cinequest at the San Jose' Film Festival in March 2001 and it also won the AFI Fest New Directions Award - Special Mention.